Discussed at this year’s Design Indaba, Spin Studio has given the BBC’s in-house creative team its own branding, which is a playful take on the existing BBC logo. BBC Creative is the in-house studio behind many of the print and digital advertising campaigns, films and show teasers coming out of the BBC. Alongside stark and shocking campaigns for the likes of shows Sorry not Sorry and Obesity: The Post Mortem, the in-house creative team also led on the recent BBC Sport rebrand, and facilitated the roll-out of the new typeface BBC Reith, designed in collaboration with type foundry Dalton Maag. Working across graphic and digital design, film, photography, art direction and audio, the team covers an expansive range of projects – but did not have its own branding to signify it. 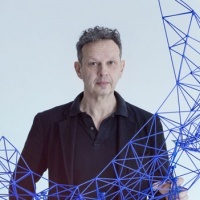 Talking at this year’s Design Indaba conference in Cape Town, South Africa, Tony Brook, co-founder at Spin Studio, spoke about the studio’s work creating a visual identity for BBC Creative. The new identity is simple yet ever-changeable. 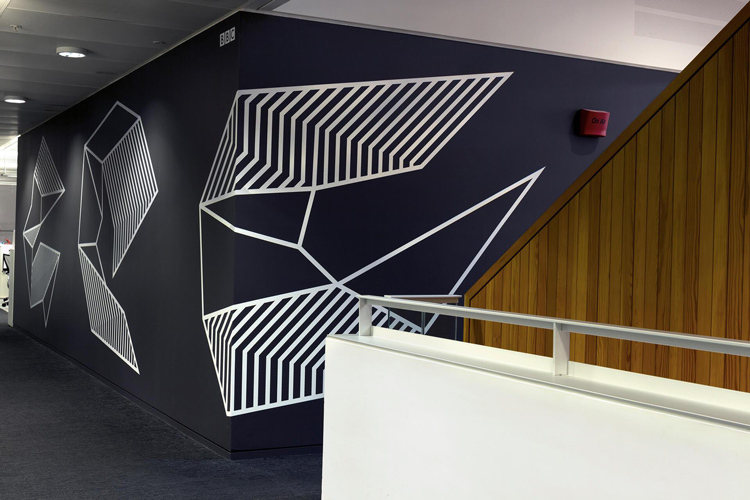 It consists of a three-dimensional, line-drawn “C” shape – or an open cube – sat next to the existing BBC logo. 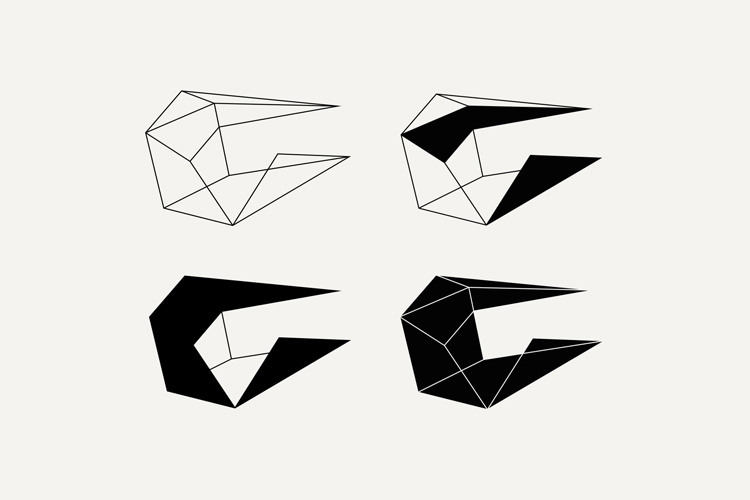 The “C” morphs, moves and changes at different angles, playing with people’s perspectives and taking on different geometric shapes. The playful identity has been inspired by BBC’s existing branding, which has been around since the 1960s and consists of letters in boxes, deconstructing the typical box and opening it out for people to peer into. 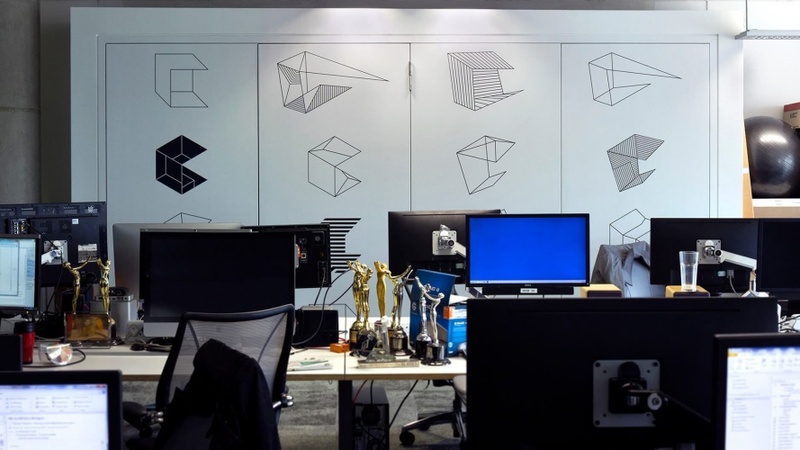 The geometric, three-dimensional box has been used as a visual cue across all communications; it makes its way in its various iterations onto the walls and interiors of BBC Creative’s studio, merchandise and print communications, and even rubber stamps produced to mark documents. The box shape has also been contorted and opened out to create endless other geometric shapes, which look like origami. 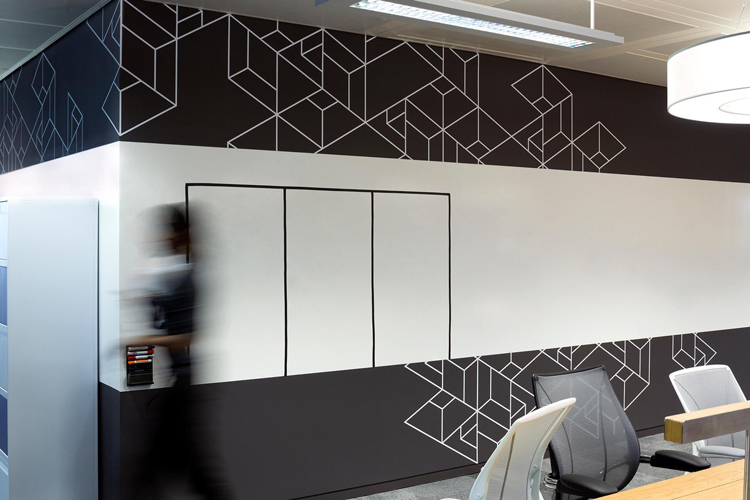 A plain, monochrome colour palette has been used; variation instead exists in the many forms the box can take, and the patterns that are drawn onto it, which can be striped, filled in with opaque black or left empty as just an outline. The new identity aims to have an “expressive and potentially endless visual language” without “ever losing the concept” of the cubic “C” shape, says Brook. The “C” is also a literal representation of the BBC’s creativity, while the playfulness represents the “adventure” and imagination of the BBC Creative team. The new identity, while imaginative, has a functional and robotic feel to it. BBC Creative’s website has been redesigned in the same monochrome, linear style, with use of a serif typeface that looks like an iteration of Courier, often used when writing HTML code. Simple, line-drawn icons are used for buttons across the site, such as a plus symbol to expand out text, which transitions to a cross symbol to reduce it again. 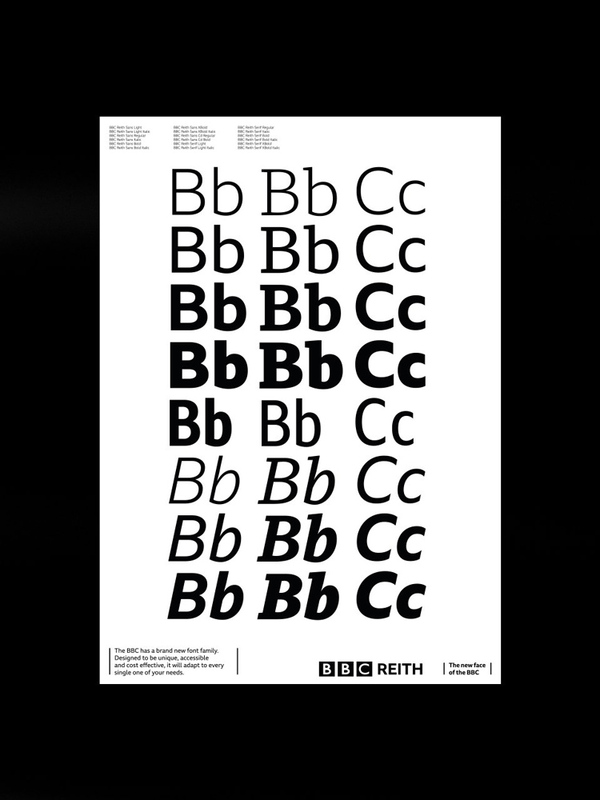 The new BBC Creative visual identity follows a poster campaign and accompanying website produced by Spin Studio, which aimed to promote the internal use of new BBC typeface BBC Reith. The new identity also comes as the in-house team is seeking a new head of creative, specialising in design. BBC Creative is seeking “an experienced designer with leadership potential” to head up the design segment of the studio. For more information, head to the BBC Creative site. 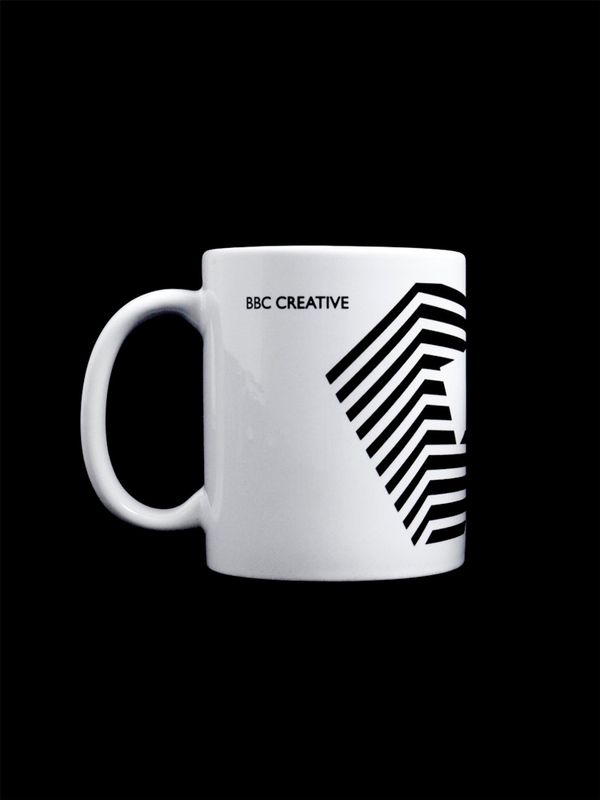 The BBC Creative brand has now rolled out online, and across marketing and print materials, merchandise, and interiors and signage. All images courtesy of Spin Studio and BBC Creative. Design Indaba took place 21-23 February 2018 at the Artscape in Cape Town, South Africa. For more information on the festival and this year’s speakers, head here, and read Design Week’s coverage on the event here. Great to see BBC Creative being creative using a rubber stamp! Great work, BBC Creative! 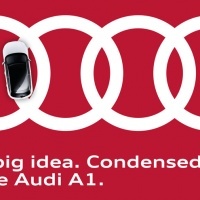 Love seeing the ways an existing logo design can be reimagined.